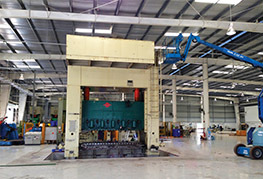 CEA Project Logistics were contracted for the transportation, assembly, and installation of a metal press for a Metal Stamping and Assembly Factory in Rayong province, Thailand. CEA received a combination of containerized and flat rack OOG cargo to their Consolidation Facility in Laem Chabang. Each container and flat-rack was unloaded and unstuffed. Several sections of the main bed and tie-rod uprights were assembled by CEA before transportation. 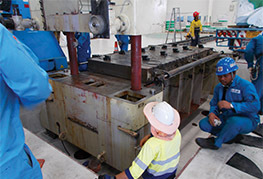 Upon arrival at the factory, the remaining press parts and sections were unloaded and assembled. As several sections were of considerable size and weight CEA erected a temporary gantry crane to assist in installation. 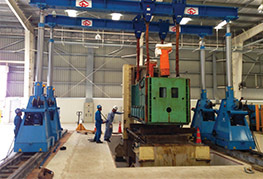 The crane was placed over a pre-constructed pit which would house the completed press. The press bed section was lifted and placed into position and aligned on the pit floor. Other sections were carefully lifted and moved into place, with the crown section being installed last. Tie rods and bolts were tightened to complete the assembly of the major sections. 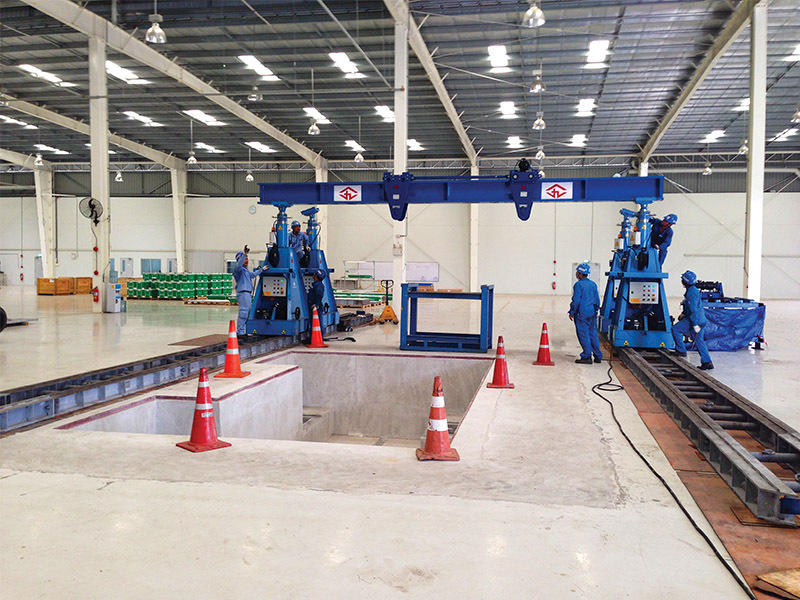 The gantry crane was removed to allow a small mobile crane and Elevated Work Platform to install the smaller parts. Upon the project completion, both CEA and the client were very happy with the efficiency and expertise of the installation.